Last year, it was Marcello Mastroianni, this year it's Ingrid Bergman. 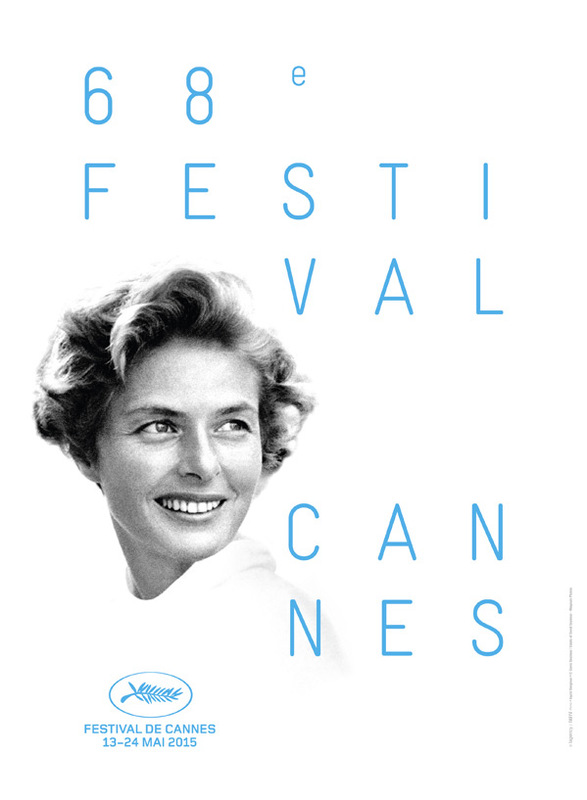 The Cannes Film Festival has officially unveiled the poster art for the 68th Festival de Cannes, taking place this May in France. They explain: "Hollywood star Ingrid Bergman was a modern icon, an emancipated woman, an intrepid actress, and a figurehead for the new realism. She changed roles and adoptive countries as the mood took her, but never lost sight of her quintessential grace and simplicity." Bergman has been to Cannes many times for various films, working with filmmakers like Alfred Hitchcock, Roberto Rossellini and Ingmar Bergman. Take a look. This year's Cannes poster captures the actress "in all her beauty, her face lit up by a calm serenity that seems to herald a promising future." The press release adds: "Liberty, audacity, modernity – values also shared by the Festival, year after year, through the artists and films it showcases. Ingrid Bergman, who was President of the Jury in 1973, encouraged this journey." The imagery is based on a photograph by David Seymour, co-founder of Magnum Agency, Hervé Chigioni, who also created for last year's festival poster with Guido, was once again behind this year’s image. Nice work, though I wish it wasn't such a plain white background. We'll continue to keep you updated on the 68th Cannes Film Festival, taking place from May 13th to 24th in Cannes, France. To download the full poster artwork or for more info on the fest, visit festival-cannes.fr.